Chairman of the Conference “Logistiekdag 2019”, organized by Management Producties, 30 January 2019, Antwerp. Chairman of the Conference “Ports & Hinterland Europe” organized by Management Producties, 4-5 October 2018, Brussels. Chairman of the Seminar “Duurzame (multimodale) logistiek en stadsdistributie – van producent tot consument”, organized by the VIB at the Logistics and Distribution Fair, 3-4 October 2018, Brussels. Chairman of the AmCham Event on “Shaking It Up: How New Technologies are Reshaping the Logistics Industry”, organized by the American Chamber of Commerce in Belgium and ING Belgium, 14 May 2018, Brussels. Interview. Chairman of the Conference “Logistiekdag 2018”, organized by Management Producties, 24 January 2018, Antwerp. Chairman of the Conference “Inland Terminals” organized by Management Producties, 9-10 November 2016, Rouen (France). Organizer and Chairman of the Conference “Het Klein Logistiek Debat” (60 attendees) on behalf of the Interactive Supply Chain Network (www.iscn.eu), 8 November 2017, Antwerp. Session Chairman of the debate “From mental to modal shift”, organized by Easyfairs, Conference Transport & Logistics 2017, 17-19 October 2015, Antwerp. Chairman of the AGM Conference of FETSA (Federation of European Tank Storage Associations), 15-16 June 2017, Berlin. Organizer and Chairman of the Conference “Het Groot Logistiek Debat” (180 attendees) on behalf of the Interactive Supply Chain Network (www.iscn.eu), 13 June 2017, AED Studios, Antwerp. Session Chairman at the “Dag van Inkoop en Logistiek”, organized by VIB – Belgian Procurement Organization, 11 May 2017, Antwerp. Chairman of the Event on “Cargopooling”, organized by VIB – Belgian Procurement Organization, 27 April 2017, Antwerp. Chairman of the Conference “Inland Terminals” organized by Management Producties, 17-18 November 2016, Basel (Switzerland). Organizer and Chairman of the Conference “Het Groot Logistiek Debat” (230 attendees) on behalf of the Interactive Supply Chain Network (www.iscn.eu), 5 October 2016, Antwerp Airport, Antwerp. Organizer and Chairman of the Conference “Het Klein Logistiek Debat” (80 attendees) on behalf of the Interactive Supply Chain Network (www.iscn.eu), 4 October 2016, Kasteel Sterckxhof, Antwerp. Moderator of the panel “Impact of digital transformation” at the Big Data event organized by Flows, 25 February 2016, Antwerp. Chairman of the High level Dinner with the Flemish Minister of Mobility, organized by the VIB – Belgian Procurement Organization, 26 January 2016, Antwerp. 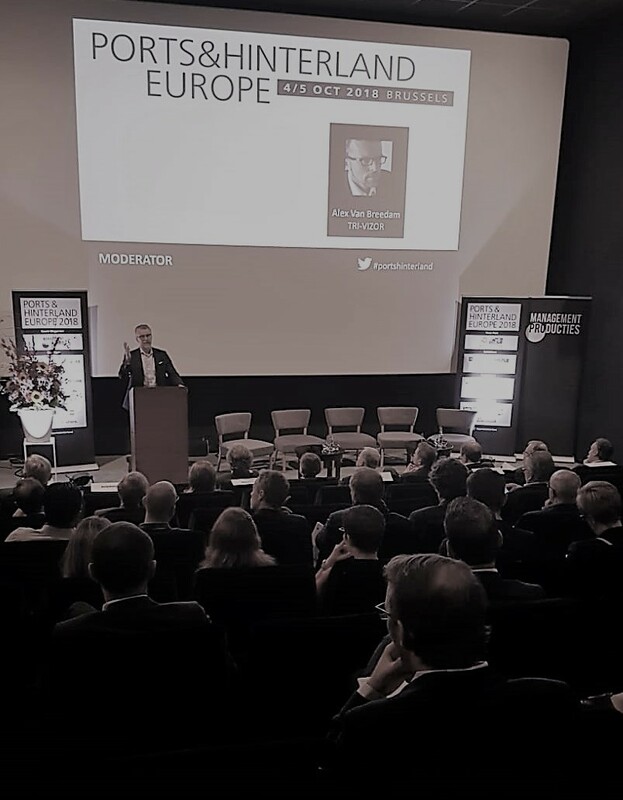 Chairman of the conference on “City distribution: delivering in a liveable city”, organized by Voka – Chamber of Commerce, Flanders-Brussels, 12 January 2016, Vilvoorde. Chairman of the conference “Shore Power in Flanders”, organized by Vlaamse Overheid – Haven- en Waterbeleid, 15 December 2015, Antwerp. Moderator of the panel “What’s next in Logistics?”, organized by Warehouses De Pauw, Conference Transport & Logistics 2015, 22-25 September 2015, Antwerp. Chairman of the panel on “Developing future leaders and keeping supply chain attractive for ‘Y-generation’ talent” on the Supply Chain Leader Event, organized by Global Business Events, 1-3 June 2015, Antwerp. Chairman of the Canada-Europe Treaty Agreement Seminar, organized by the Port of Antwerp, 27 May 2015, Antwerp. Chairman of the Workshop on Consolidation concepts, organized by Maatschappij Linker Schelde Oever, 5 November 2013, Antwerp. Chairman of the Belgian Shippers Summit 2013, organized by the Port of Antwerp, 20 June 2013, Antwerp. Chairman of the conference “Vlaanderen Logistiek 2012”, organized by Management Producties, 12 June 2012, Laakdal. Moderator of the panel “Logistic Service Providers – 3PL”, at the Supply Chain Innovations, organized by Value Chain, 19 April 2012, Lint. Chairman of conference “Vlaanderen Logistiek 2011”, organized by Management Producties, 27 October 2011, Antwerpen. Chairman of conference “Vlaanderen Logistiek 2010”, organized by Management Producties, 18 November 2010, Edegem. Session chairman of the EyeForTransport Summit on “Horizontal Collaboration in the Supply Chain”, 1-2 June 2010, Brussels. Session chairman at the Workshop “Meer mobiliteit en minder hinder: meerwaarde door bundeling van goederenstromen”, organized by Flanders Smarthub, 14 January 2010, Leuven. Chairman of the Seminar “The future value Chain, Collaboration in the supply chain”, organized by the Vereniging voor Inkoop en Bedrijfslogistiek (VIB), 18 September 2009, Kontich. Chairman of the jury of the “Air Chase Competition”, organized by the Vereniging voor Inkoop en Bedrijfslogistiek (VIB), 18 June 2009, Malderen. Chairman of the conference on “Intelligent Systems for Belgian Transport & Logistics”, organized by the Dutch Agency for International Business and Cooperation (EVD), 23 April 2009, The Hague. Moderator of the panel “50+ workers in logistics”, Seminar on Talent in Logistics, organized by Europhia, 12 March 2009, Antwerp. Moderator of the panel “Causes and consequences of shortages on the labour market for logistics”, Seminar on the changing competences of procurement and supply chain professionals, organized by VIL and VIB, 26 August 2008, Kontich. Moderator of the panel “Availability of a network of inter modal, polyvalent and flexible terminals with high level of performance”, at the Ferrmed Conference, 26 June 2008, Brussels. Chairman of the VIL-Arena “The promotion of Logistics in Flanders”, at the Supply Chain World, 19 March 2008, Brussels. Chairman of the VIL-Arena “Authorized Economic Operator and Secured Trade Lanes”, at the Supply Chain World, 20 March 2008, Brussels. Chairman of the VIL-event “Distribution consolidation”, 24 January 2008, Antwerp. Chairman of the Conference on “De nieuwe logistieke professional in Vlaanderen”, 11 October 2007, Groot-Bijgaarden. Delegation leader of the VIL (Flanders Institute for Logistics) Logistics mission to India, 15-22 September 2007. Chairman of the Conference on “Hoe kan het (vernieuwde) spoorvervoer inspelen op de huidige logistieke behoeften?”, 6 June 2007, Antwerp. Chairman of the “VIL-Themacafé” on “Green Supply Chain” and “Warehouse automation”, 14 June 2007, Antwerp. Chairman of the Seminar on “RFID, 100% readability for in- and outbound logistics”, 31 May 2007, Antwerp. Moderator of the panel on the Colloqium “Logistiek: Strategische groeipool voor België”, organized by Vlaams Logistiek Verbond, 31 January 2007, Antwerp. Session-chairman of Logistics at the Seminar “Vlaanderen in Actie”, organized by the Flemish Government, 21 December 2006, Brussels. Delegation leader of the VIL (Flanders Institute for Logistics) Logistics mission to Japan, 26 November – 2 December 2007. Chairman of the Seminar on “Reverse Logistics”, organized by VIB, PICS and VIL, 14 December 2006, Antwerp. Session-chairman of the Vervoerslogistieke Werkdagen, 23-24 November 2006, Grobbendonk. Commission-chairman of the Flemisch Scientific Economic Congress 2006 (27e Vlaams Wetenschappelijk Economisch Congres) on “Mobility” in Brussels, 19-20 October 2006. Chairman of the Vlaanderen Logistiek 2006 Seminar on “The Extended Gateways”, organized by Management Producties and VIL, 12 October 2006, Temse. Chairman of the Seminar on Partnerships among shippers, organized by Business Logistics and VIL, 15 June 2006, Antwerp. Chairman of the Seminar on Logistics and ICT, organized by Kluwer Opleidingen and VIL, 1 June 2006, Antwerp. Chairman of the Seminar on the logistics competition of Eastern Europe, organized by VIL and ING, 16 May 2005, Antwerp. Moderator of the panel discussion on Vehicle Planning, at the International Conference on “Using telematics and real time data management for optimising transportation networks”, organized by EyeForTransport, 27-28 April 2005, Amsterdam. Chairman of the SCOR benchmarking workshop, organized by the Vlaams Instituut voor de Logistiek, 14 March 2005, Antwerp. Chairman of the Business Logistics seminar on RFID, 23 February 2005, Antwerp. Chairman of the VIL-VIB-UAMS seminar “The Value Chain Forum – Supply Chain Consolidation”, 4 sessions ( 26/11/2005, 22/02/2005, 26/04/2005), Antwerp. Moderator of the panel discussion on RFtags, organized by LVT, SAP and ATOS Origin, Brussels, 11 January 2005. Scientific Co-ordinator of the Flemisch Scientific Economic Congress 2004 (26e Vlaams Wetenschappelijk Economisch Congres) on “Logistics” in Antwerp, 25-26 March 2004. Chairman of the VIB-seminar “The importance of RFID for logistics”, 2 October 2003, Brasschaat-Antwerpen. Chairman of the Business Logistics Knowledge Days seminar, 21 May 2003, Zaventem. Chairman of the VIB-seminar “Performance measurement in the Supply Chain”, 8 May 2003, Brasschaat-Antwerpen. Member of the Program Committee of the European Logistics Forum, 18-19 February 2003, Duisburg, organized by the Bundesvereinigung Logistik. Chairman of the VIB-seminar “Logistics Service Providers – New types of partnerships”, 18 February 2003, Brasschaat-Antwerpen. Chairman of the Business Logistics Update Seminar “Advanced Planning & Scheduling”, 16 May 2002, Antwerpen. Chairman of the Business Logistics Update Seminar “Efficient Replenishment Upstream”, 15 May 2002, Antwerpen. Chairman of the Roularta-VIB-seminar (Vereniging voor inkoop en bedrijfslogistiek) “Outsourcing or not?”, ’t Wit Paard, 23 April 2002, Grimbergen. Chairman of the Session on Logistics Operators at the Maritime and Port Symposium ITMMAPS, 18-20 April 2002, Antwerpen. Chairman of the Business Logistics Update Seminar “Synchronizing distribution and transportation activities”, Kasteel Den Brandt, Antwerp, 7 March 2002. Chairman of the IFBD (Institute for Business Development) seminar “Push-pull point in Supply Chain Management”, Holiday Inn Crowne Plaza, Antwerp, 5 March 2002. Chairman of the Business Logistics Update Seminar “Forecasting”, Kasteel Den Brandt, Antwerp, 24 January 2002. Chairman of the IFBD (Institute for Business Development) seminar “Optimal Tuning between Transportation Planning and the Distribution Center”, Holiday Inn Crowne Plaza, Antwerp, 15 October 2001. Chairman of the IFBD (Institute for Business Development) seminar “Manpower planning”, Holiday Inn Crowne Plaza, Antwerp, 15 May 2001. Chairman of the two-day seminar on “Development and redesign of a warehouse layout”, organized by Business Logistics, 28-29 March 2001, Temse. Chairman of the IFBD seminar “Spare parts Management”, Holiday Inn Crowne Plaza, Antwerp, 29 November 2000. Chairman of the IFBD seminar “Supply Chain Benchmarking”, Holiday Inn Crowne Plaza, Antwerp, 9 November 2000. Chairman of the seminar “e-Supply Chain Management”, organized by EFE Belgium, 25-26 October 2000, Hotel Metropole, Brussels. Chairman of the seminar “Managing the logistics costs”, organized by Business Logistics, 12 October 2000, Brussels. Chairman of the seminar “Outsourcing”, organized by Business Logistics, 25 May 2000, Brussels. Chairman of the IPO-KPMG Chair 2000 “Optimizing the Supply Chain” with speakers Ad Van Goor, Luk Van Wassenhove, Zeger Degraeve and Martin Christopher. Chairman of the seminar on “Concepts to manage logistical costs”, organized by Business Logistics, Antwerp, 4 April 2000. Chairman of the conference on “Managing the Supply Chain through Auto Identification”, organized by KVIV and BIRA , Antwerp, 19 October 1999. Chairman of the IFBD-conference on “Distribution by night”, Antwerp, 31 March 1998. Chairman of the KPMG breakfast meetings “Optimisation and Supply Chain Management”, Ghent, 9 October 1997 and Antwerp, 11 December 1997. Member of the Program Committee of ORBEL 10, the Tenth Conference on Quantitative Methods for Decision Making, organized by the SOGESCI-BVWB, 18-19 January 1996, Royal Military Academy, Brussels. Organizer and Vice-chairman of the Two-day International Conference on Simulation on Microcomputer, 26-27 January 1989, University of Antwerp – RUCA, organized by the SOGESCI-BVWB, NFWO, University of Antwerp – RUCA and University of Louvain. “The Multi-Supplier Multi-Retailer Platform”, NexTrust Seminar, organized by EvoFenedex, 25 October 2018, Zoetermeer, The Netherlands. “The Multi-Supplier Multi-Retailer Platform”, Physical Internet Workshop, organized by Alice, 9-10 October 2018, München. “How to make SMEs collaborate?”, Elupeg Group Meeting, organized by Elupeg, 16 March 2017, Antwerp. “Eventually, logistics will disrupt or will be disrupted”, 2017 European Seminar, organized by ECASBA, 28 February 2017, Brussels. “Eventually, logistics will disrupt or will be disrupted”, Workshop Sustainable transport, visions for the future 2050+, organized by Logistikum – University of Applied Sciences Upper Austria, 6 October 2016, Steyr, Austria. “Eventually, logistics will disrupt or will be disrupted”, APBC Summer School – Designing Ports of the Future, An exploration of the future of the Port of Antwerp & Rotterdam, organized by Antwerp Powered by Creatives, 9 September 2016, Rotterdam, The Netherlands. “Eventually, logistics will disrupt or will be disrupted”, Conférence La Révolution Logistique & Supply Chain 2020, organized by Euralogistic Lille-Dourges, 31 May 2016, Dourges, France. “Horizontal partnerships and collaborative communities among shippers”, BSMA Europe Conference, organized by the Bio Supply Management Alliance Europe, 19 May 2016, Brussels. “20 Challenges that will impact your supply chain”, Euralogistics Day 2015, organized by Euralogistic Lille-Dourges, 8 December 2015, Dourges, France. “Inland terminals and their hinterland”, 10th European Inland Terminals Conference, organized by Management Production, 26-27 November 2015, Antwerp. “And now…”, Conference on Improving Transport Capacity Utilization in the Supply Chain, organized by The Vlerick Business School, 7 October 2015, Antwerp. “20 Challenges that will impact your supply chain”, Cold Chain Logistics 2015, organized by The Port of Antwerp, 1-12 June 2015, Antwerp. “20 Challenges that will impact your supply chain”, Supply Chain Meeting 2015, organized by Logistica Moderna, 6-8 April 2015, Lisboa. “20 Challenges that will impact your supply chain”, IUMI Spring Meeting Congress, organized by the International Union of Marine Insurance, 23 March 2015, Brussels. “The Rhine-Scheldt delta, a logistics topregion”, IUMI Spring Meeting Congress, organized by the International Union of Marine Insurance, 23 March 2015, Brussels. “Future-proofing your Supply Chain through Horizontal Collaboration”, organized by BABM-Belgilux Association of Branded products Manufacturers and AIM-European Brands Association, 26 February 2015, Brussels. “The future of Rail”, Rail Logistiek 2015, organized by Management Producties, 27 January 2015, Rotterdam. “How to improve cost efficiency, service level and sustainability through orchestrated collaboration”, 3rd Annual Steel Distribution and Supply Chain, organized by Platts, 15-16 October 2013, Antwerp. “A new European Master class program for Supply Chain Management”, XV Annual Conference on “Transport, Spatial Organization and Sustainable Economic Development” promoted by the Italian Association of Transport Economics and Logistics (SIET), 18-20 September 2013, Venice, Italy. “How to access 500 millions of consumers in Europe?”, Seminar INTERCOMEX 2013 – International Congress of Foreign Trade / Transposul, 5 July 2013, Porto Alegre, Brazil. “How to access 500 millions of consumers in Europe?”, COMEX Seminar, 4 July 2013, Joinville, Brazil. “Network Orchestration: organizing carpooling for cargo for a network of lanes”, Symposium Supply Chain Control Towers, 19 June 2013, Den Bosch (The Netherlands). “Carpooling for Cargo”, European Venture Capitalist Forum, 6-7 December 2012, Berlin. “Horizontal Collaboration in the Rhine-Scheldt Delta”, Workshop on Logistics for the Federation of Entrepreneurs in West-Brabant (The Netherlands), 11 November 2012, Breda. “Consolidated Supply Chains”, Workshop Hinterland Policy: a stakeholder’s point of view, organized by the Port of Antwerp, 27-29 June 2012, Antwerp. “A strategic vision on European logistics”, Seminar on Euregion: a European top region for logistics, 23 May 2012, Genk. “Le premier cas mondiale de massification orchestrée”, organized by Euralogistic, 12 December 2011, Dourges. “Governmental subsidies in Logistics”, Vervoerslogistieke Werkdagen, 1-2 December 2011, Antwerp. “Logistics in Flanders”, The Antwerp Forum: Linking business between China and Europe, 21-22 November 2011, Antwerp. “La Flandre, comment accéder à plus de 500 million de consommateurs en Europe?”, Just In Log, organized by CCI Nord-Pas de Calais, Port de Lille et Euralogistics, 27 September 2011, Lille. “Flanders, How to reach 500 million consumers in Europe?”, XVII International Logistics Forum, organized by Instituto de Logistica e Supply Chain and CSCMP, 12-14 September 2011, Rio de Janeiro. “The Making of the World’s First Orchestrated Horizontal Collaboration”, 2nd Horizontal Collaboration in the Supply Chain Summit, organized by EyeForTransport, 19-20 May 2011, Brussels. Zeebrugge-Bilbao shortsea service in particular”, Shortsea Conference, organized by De Lloyd, 13-14 April 2011, Bilbao. “Orchestrated bundling, the fastest way to make high volume flows, Trade Symposium on Short Sea Shipping”, organized by the Port of Antwerp, 10 November 2010, Antwerp. “Logistics in Flanders”, Seminar Flanders, logistics solution for Northern Europe, organized by Flanders Investment and Trade, 28 October 2010, Tarragona. “Logistics in Flanders”, Seminar Flanders, logistics solution for Northern Europe, organized by Flanders Investment and Trade, 27 October 2010, Bilbao. “What are the global supply chain challenges of the next decade?”, CxO Leadership Forum 2010, 26-27 November 2010, Brussels. “Combining LTL thermo-controlled shipments in the Chocolate Industry – A case study”, Chemical Supply Chain Conference and workshop, organized by DHL, 15 September 2010, Louvain. “Case Study: Combining the Logistic Activities of Gudrun and Leaf Distribution Belgium”, Elupeg Group Meeting, organized by Elupeg, 17 September 2010, Antwerp. “Improving supply cost, service level and sustainability through orchestrated logistics partnerships”, Annual Oil and Chemical Logistics Networking Event 2010, organized by Tankbank, 16 – 18 June 2010, Antwerp. “Interactive workshop on horizontal collaboration”, Conference Demand Driven Supply Chain 2010, organized by Centaur Conferences, 15-16 June 2010, Brussels. “The role of the orchestrator in collaborative distribution”, PICS Yearly Distribution Seminar on Collaborative Distribution, organized by PICS-Belgium, 3 June 2010, Mechelen. “Intelligent System for Transport & Logistics”, Dutch Trade Mission, organized by the Dutch Ministry of Economic Affairs, 9 February 2010, Brussels. “Tomorrow’s Supply Networks: sustainability and growth without trade off”, organized by P&G Supply Network Innovation Centre, 9 February 2010, Brussels. “Multi-client transportation flow consolidation”, SCExecutive Forums Financial Aspects of the Supply Chain, organized by Europhia and De Lloyd, 20 January 2010, Brussels. “The making of the World’s First Cross Supply Chain Orchestrator for horizontal collaboration”, organized by TAMK University of Applied Sciences, 3-4 December 2009, Tampere (Finland). “Sustainable Logistics through Collaboration and Consolidation”, DAMA Belux Annual Conference, organized by Deloitte and SAP, 25 November 2009, Vilvoorde. “Massification et multimodalité”, Fastlog, le forum Wallon transfrontalier de la Logistique, des Transports, des Achats et de la Supply Chain, 24 November, Charleroi. “How horizontal collaboration among shippers will affect the logistics sector”, Transport Info Days 2009, organized by Teleroute, 30 September 2009, Houten, The Netherlands. “How to bundle small volumes in order to make use of Extended Gateways”, Seminar on Hinterland Gateway concepts, organized by PortNet, 11 June 2009, Port of Antwerp. “Extended Gateway Flanders”, Rijn-Schelde Delta Day on the Rhine-Scheldt ports and their hinterland, 3 December 2008, Antwerp. “Flanders a unique value proposition for logistics”, Logistics mission of the Belo Horizonte delegation, organized by the Chamber of Commerce and Flanders Investment and Trade, 20 October 2008, Brussels. “Extended Gateway Flanders”, Journées Portuaires de la Quinzaine Française, 13 October 2008, Antwerp. “Trends in European Logistics”, Launch of Think Executive Collaboration Program, 22 August 2008, Singapore. “The assets of Flanders as a logistics region”, Symposium on Challenges of Economic Growth, organized by Flanders Investment and Trade and YES Europe, 9 May 2008, Antwerp. “A Look At Current Global Transport Flows, Deep Sea Shipping Trends And Hinterland Capacity: Is Europe Ready For The Changes Of The Next 3-5 Years?”, Logichem 2008, organized by Logichem, 14-16 April 2008, Düsseldorf. “New trends in supply chain management and outsourcing”, CEVA Logistics Conference, organized by CEVA Logistics, 13 March 2008, Maastricht. “Extended Gateway, the perfect match between international gateway, hinterland location and logistics activity”, Extended Supply Chain 2008, 3-4 March 2008, London. “The Extended Gateway Flanders”, The European Conference and Exhibition on Inland Terminals, organized by Confor, 13-14 November 2007, Antwerp. “Flanders a unique value proposition for logistics”, Flanders Logistics 2007 seminar, organized by Flanders Investment and Trade India, 17 September 2007, Pune, India. “Flanders a unique value proposition for logistics”, Flanders Logistics 2007 seminar, organized by Flanders Investment and Trade India, 17 September 2007, Mumbai, India. “Extended Gateway Flanders”, Investment conference organized by the World Trade Center Buffalo Niagara, 11 June 2007, Buffalo NY, USA. “Extended Gateways”, Chemvision 2006, 7 December 2006, Antwerp. “Flanders a unique value proposition for logistics”, Flanders Logistics 2006 seminar, organized by Flanders Investment and Trade Japan, 30 November 2006, Osaka, Japan. “Flanders a unique value proposition for logistics”, Flanders Logistics 2006 seminar, organized by Flanders Investment and Trade Japan, 29 November 2006, Nagoya, Japan. “Flanders a unique value proposition for logistics”, Flanders Logistics 2006 seminar, organized by Flanders Investment and Trade Japan, 28 November 2006, Tokyo, Japan. “Flanders a unique value proposition for logistics”, Flanders DC Business day on creativity in the logistics sector, 17 November 2006, Gent. “The potential of the airport of Ostend and its business park to attract and develop economic activity”, STRAIR-conference for Regional Airports in Europe, 2-3 November 2006, Gran Canarias. “Extended Gateways”, ITMMAPS 2006 conference on ports, 26-27 October 2006, Antwerp. “How to adapt and prosper as the European logistics landscape is transformed”, 4th European 3PL Summit, organized by EyeForTransport, 3-4 October 2006, Brussels. “Flanders a unique value proposition for logistics”, Flanders Logistics 2006 seminar, organized by Flanders Investment and Trade Japan, 19 September 2006, Tokyo, Japan. “Flanders a unique value proposition for logistics”, European Supply Chain Summit, organized by BASF, 7 September 2006, Antwerp. “Flanders a unique value proposition for logistics”, Flanders Logistics 2006 seminar, organized by Flanders Investment and Trade USA, 21 June 2006, Chicago. “Flanders a unique value proposition for logistics”, Logistics for Japanese investors seminar, organized by Eurinpro, 24 April 2006, Brussels. “The Flanders Institute of Logistics”, European Business Summit, organized by Council of Belgian Enterprise, 16 March 2006, Brussels. “Know-how and innovation in logistics are essential for the chemical sector”, Logichem 2005, organized by Terrapin, 28-29 April 2005, Antwerp. “From RFID to Intelligent Supply Chains”, International Conference on “Using telematics and real time data management for optimising transportation networks”, organized by EyeForTransport, 27-28 April 2005, Amsterdam. “SCOR benchmarking in Flanders”, IBS SCOR-seminar, 23 March 2005, Groot-Bijgaarden. “Ports in Flanders as part of a supply chain”, 6th Asia Oceania Regional Meeting of the International Association of Ports and Harbours, 1-4 February 2005, Teheran, Iran. “Not only infrastructure but also innovation and knowhow in logistics are important for the petrochemical sector in Flanders”, Chemvision 2004, 2 December 2004, Antwerpen. “The logistic role of ports in Flanders”, Conference on Flanders Logistics 2004, organized by Topontmoetingen, 28 September 2004, Edegem. “Value Added Logistics in Flanders”, seminar organized by Flanders Investment and Trade, 18 September 2004, Tokyo, Japan. “EU enlargement: threats and opportunities for the transport business”, Seminar on EU enlargement, organized by TNT Express Worldwide, 22 April 2004, Brussels. ”Value Added Service in outsourcing”, Outsourcing 2004 Conference, organized by CxO, Innovative Business Management & Communication, Brussel, 4 March 2004. “Is your company ready to integrate RFID?”, EyeForTransport 5th European Technology Summit, Amsterdam, 3-4 March 2004, Amsterdam. “Value Added Logistics in Flanders”, Conference on Logistics Belgium-Canada, organized by the Belgium-Luxemburg Chambre of Commerce in Montreal, 5 February 2004, Montreal. “Safety aspects in Supply Chain Management”, Conference on Safety aspects in Transportation, Internationale Schelde Faculteit, 14 May 2003, Ghent. “Joint Infrastructure in spite of competition of Locations” and official delegate of the Flemish Minister of Economy Jaak Gabriëls, European Logistics Forum 2004, 19-20 February 2003, Duisburg. “The role of ICT in the evolution of Logistic Service Providers”, e-translogistics 2002, International Transport & Logistics Forum, 28-29 November 2002, Liège. “The role of operational research in supply chain management”, ORBEL 15, SOGESCI-BVWB, 29-30 January 2001, University of Antwerp – RUCA. “Automatic Identification and Data Acquisition”, AIDC Systems 2000 Seminar, organized by Mikrocentrum, 21-22 March 2000, Ede (The Netherlands). “Optimisation du transport routier: état actuel et évolution”, Colloque LAMIH ROI, Transport et Logistique : Apport des Nouvelles Technologies Décisionnelles, 18 November 1999, Valenciennes. “Vehicle Routing: Dedicated Optimisation”, Special Topics Conference of the 8th World Conference on Transport Research, 12-17 July 1998, Antwerp. “The vehicle routing problem in practice: The academic contribution”, 1-day Conference on Transportation Modelling: From theory to practice, Groupe d’étude des Mathématiques, du Management et de l’Economie, 7 March 1997, Université de Liège. “Rule-based job-shop scheduling via decision tables”, ORBELL 11, SOGESCI-BVWB, 16-17 January 1997, FUNDP, Namur. “Vehicle Routing: bridging the gap between theory and practice”, ORBEL 10, SOGESCI-BVWB, 18-19 January 1996, Brussels. “Optimisation and the Supply Chain”, KPMG Business School, 8-10 September 1996, Antwerp. “The analysis of the behavior of heuristics for the vehicle routing problem with customer-related, vehicle-related and time-related constraints”, IFORS 96, 8-12 July 1996, Vancouver. National Belgian contribution on behalf of the Belgian Operational Research Society. “Metaheuristics as improvement methods for the vehicle routing and scheduling problem”, EURO XIII/OR 36, 19-22 July 1994, Glasgow. “A dynamic analysis of improvement heuristics for the vehicle routing problem based on geographical, temporal and customers aspects”, ORBEL 8, SOGESCI-BVWB, 20-21 January 1994, Brussels. “An enhancement policy to Simulated Annealing,Based Improvement Methods for the Vehicle Routing Problem”, The Impact of Emerging Technology on Computer Science and Operations Research, ORSA, 5-7 January 1994, Williamsburg, Virginia, USA. “Comparing improvement methods based on Simulated Annealing, Tabu Search and Genetic Algorithms for the Vehicle Routing Problem”, Sixth International Conference of the European Chapter on Combinatorial Optimization, ECCO VI, 26-28 April 1993, Université Libre de Bruxelles. “Simulated annealing based improvement methods for the vehicle routing problem”, ORBEL 7, SOGESCI-BVWB, 21-22 January 1993, Brussels. “A new approach in the sense of an expert system to vehicle scheduling and routing”, EURO XII/TIMS XXXI, Joint International Conference Operational Research/Management Science, 29 June – 1 July 1992, Helsinki. “Overview of heuristics for the vehicle routing and scheduling problem”, Recent Advances in Mathematical Programming. Problems for the future, 15 May 1992, VUB, organized by the Contactgroep Operationeel Onderzoek, Brussels. “Selection of stochastic intervals under a sum constraint for building high quality pseudorandom number series”, ORBEL 6, SOGESCI-BVWB, 23-24 January 1992, Brussels. “New developments in vehicle scheduling”, ORBEL 6, SOGESCI-BVWB, 23-24 January 1992, Brussels. “A single server queue with a generalized switched Poisson input process: simulation, approximations and bounds”, 16. Symposium on Operations Research, Gesellschaft für Mathematik, ökonomie und Operations Research e.V., Universität Trier, 9-11 September 1991. “Samenwerken met een kennisinstelling – waar academici echt goed in zijn”, Seminar on collaboration between Research centers and companies, organized by POM Antwerpen, 18 December 2018, Niel. “Standpunten en aanbevelingen voor de mobiliteit van morgen”, Conference on future mobility, organized by the Koninklijke Vlaamse Academie van België voor Wetenschappen en Kunsten, 13 November 2018, Brussels. “Retail en logistieke uitdagingen voor de toekomst – een bron voor samenwerking?”, Conference on The Future of DIY Retail, organized by FEBIN, 4 September 2018, Antwerp. “De logistiek moet zichzelf heruitvinden of anderen zullen het in haar plaats doen”, 22nd Maritime Symposium on Ports and shipping in a disruptive environment, organized by the University of Ghent, 23 May 2018, Gent. “Bundling of flows in last mile distribution”, seminar Fijnmazige Versdistributie organized by Value Chain en PICS, 27 February 2018, Sint-Niklaas. “Evolutions in the logistics sector and the inland shipping”, Conference organized by Eurometropool, 22 November 2016, Tournai. “Supply Chain and Logistics Trends and Directions”, Symposium Supply Chain in the 21st Century, organized by CIMCIL, 13 October 2016, Brussels. “Evolutions in the logistics sector and the inland shipping”, Conference organized by Eurometropool, 11 October 2016, Menen. “How to involve SME’s in horizontal collaboration?”, Dag van Inkoop en Logistiek, organized by VIB, 12 May 2016, Antwerp. “A vision for Flanders Logistics”, Flanders International Economic Summit, organized by Flanders Investment and Trade, 25 January 2016, Brussels. “The 20 major challenges for logistics”, Seminar Mobility & Logistics: Be smart, keep informed, organized by BECI – Brussels Enterprises Commerce and Industry, 13 January 2016, Brussels. “The creation of a shippers community for proximity railway operator”, Kick-off of Planisfer project, organized by IDEA Intercommunale Coeur du Hainaut, 17 September 2015, Saint-Ghislain. “Speeddocking 2015 – Main results”, seminar organized by GS1-Belgium, 18 June 2015, Brussels. “Mobility in Flanders”, Facility Nights, a seminar for facility managers, 4 June 2015, Groot-Bijgaarden. “Opportunities of Horizontal Collaboration for Single Wagon loads in rail transport”, organized by IDEA and Forem Logistique, 27 February 2015, Mons. “Hoe slimme logistiek kan helpen de mobiliteit te verbeteren?”, organized by A12 Business Club and BNP Paribas Fortis, 15 October 2014, Antwerpen. “Carpooling for Cargo”, Seminar on Less Air Transported, organized by PICS Belgium, 17 June 2014, Leuven. “The new shopping” at the Transition Arena on “Klimaatneutraliteit en lokale veerkracht “, 25 January 2014, Antwerp. “Sustainable Logistics” at the CxO congress on Smart Organizations, 2-3 December 2013, Genval. “Carpooling for Cargo”, General Assembly of Flanders’ Food and FEVIA Vlaanderen on Innovation in transport and logistics, 28 May 2013, Affligem. “Carpooling the flows of Baxter and Donaldson”, 16e Dag van Inkoop en Logistiek, organized by Vereniging voor Inkoop & Bedrijfslogistiek, 25 April 2013, Antwerp. “The role of an intermediary in horizontal collaborations”, Symposium on Sustainable Supply Chains, organized by Antwerp Management School, 28 March 2013, Brussels. “Carpooling for Cargo”, Green Business Conference, organized by Roularta Seminars, 24 October 2012, Brussels. “De vraag is niet of horizontale collaboratie er komt, maar wanneer…”, Prologistic, organized by EasyFairs, 26-27 September 2012, Brussels. “Horizontal collaboration in logistics”, Seminar on “Logistique et Industrie alimentaire », organized by Fevia and Logistics in Wallonia, 19 September 2012, Liège. “Consolidation for the last mile”, The Last Mile Seminar, organized by The Brussels Port Authority, 29 May 2012, Brussels. “Behind the Scenes of the World’s First Orchestrated Horizontal Collaboration: The Case of UCB, Baxter, H.Essers and TRI-VIZOR”, organized by Liège Airport, 30 November 2011, Liège. 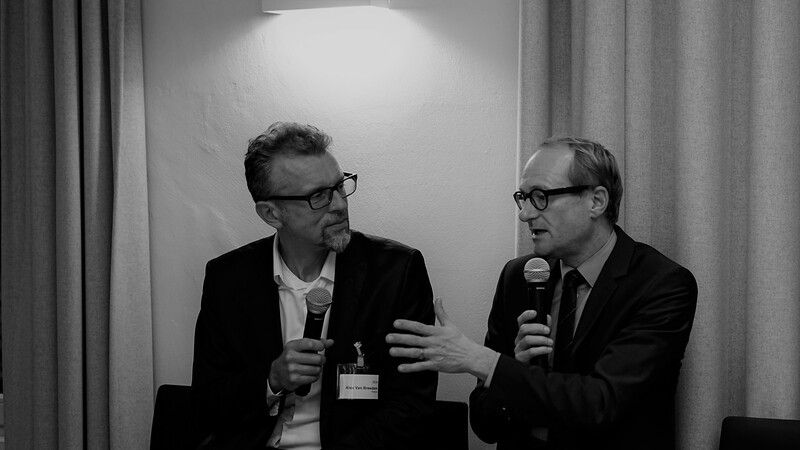 “Behind the Scenes of the World’s First Orchestrated Horizontal Collaboration: The Case of UCB, Baxter, H.Essers and TRI-VIZOR”, organized by the Belgilux Association of Branded products Manufacturers, 10 November 2011, Brussels. “De toekomst van de logistiek in Vlaanderen”, Symposium Hoogstraten Logistiek, 5 October 2011, Hoogstraten. “Achter de schermen van ‘s wereld eerste georkestreerde bundeling”, Logistieke Dag Limburg, organized by Logistiek Platform Limburg, 30 September 2011, Lanaken. “Orkestratie, 4C, massification,.. maar wat er gebeurt er nu in de praktijk?”, Seminarie Transport en Logistiek 2011, organized by EasyFairs, 20-22 September 2011, Antwerp. “Hoe zullen globale supply chains veranderen in de volgende 10 jaar?”, Seminar on how European logistics will change during the next years, organized by FEBETRA, 30 November 2010, Brussels. “Naar een duurzame en slimme logistiek in Vlaanderen”, Seminar E-dinges, organized by the Flemish Parliament, 20 November 2010, Brussels. “The next decade in Supply Chain Management”, LearnShops at Prologistics, organized by Easyfairs, 29-30 October 2010, Brussels. “Vision of the facilitator on collaborative distribution”, PICS yearly distribution seminar on Collaborative Distribution, organized by PICS, 3 June 2010, Mechelen. “De logistieke toekomst van Halle-Vilvoorde”, Workshop on Logistics in the region Halle-Vilvoorde: threat or opportunity, organized by trade Union ACV, 6 May 2010, Wemmel. “Orchestration in Logistics”, Workshop on Sustainable Logistics, organized by Flanders Smarthub, 14 January 2010, Leuven. “Bundling of freight flows across multiple companies: a case study”, 8th Belgian Consumer Goods Conference, organized by The Vlerick Gent Leuven Management School, 27 October 2009, Brussels. “Duurzame Logistiek vereist een mentale shift”, Transport & Logistics 2009, organized by Easyfairs, 20 October 2009, Antwerp. “How horizontal collaboration among shippers will affect the logistics sector”, Transport Info Days 2009, 13 October 2009, Schelle. “Sustainable Logistics”, Roundtable on the logistics future of Flanders, organized by Arbeid en Milieu VZW, 18 May 2009, Leuven. “New concepts for last mileage logistics”, DPD forum on B2B and B2C in perfect harmony, organized by DPD, 4 March 2009, Groot-Bijgaarden. “TRI-VIZOR, innovation in logistics”, Lunchmeeting organized by the VKW-Antwerpen, 3 March 2009, Antwerp. “Logistics and clustering in Flanders, the Extended Gateway concept”, Seminar on Agricultural Logistics, organized by Innovatiesteunpunt voor Land- en tuinbouw, 27 January 2009, Lochristi. “Sustainable logistics, consolidation and collaboration”, Seminar on the impact of the financial crisis, organized by Fortis, 20 January 2009, Brussels. “East Flanders, top location for logistics”, Launch of the Logistics Platform East Flanders, 12 November 2008, Ghent. “Belgium, a region for logistics”, Le Club des Grandes Entreprises du Luxembourg, 9 November 2008, Marche-en-Famenne. “Logistics in Flanders”, Facility Nights, a seminar for facility managers, 4 November 2008, Mechelen. “European Distribution Centres in Flanders”, Discussant at the Vlaams Wetenschappelijk Economisch Congres, 14 November 2008, Louvain. “Extended Gateways”, Seminar on Vlaanderen Logistiek 2008 – De toekomst van Vlaanderen als logistieke topregio, organized by Management Producties, 6 November 2008, Antwerpen. “The roll-out of the Extended Gateway concept in Flanders”, Colloquium on the logistics strategy of the province of Vlaams-Brabant, organized by the Province of Vlaams-Brabant, 17 October 2008, Bruges. “Consolidation, collaboration, clustering and bundling”, Seminar on ADR transport, organized by the Vereniging Voor Verkeersveiligheid, 16 October 2008, Schelle. “Consolidation, collaboration, clustering and bundling”, Colloqium Le conteneur, une grande boîte aux multiples resources, organized by the Union Wallonne des Entreprises, 3 October 2008, Louvain-La-Neuve. “The roll-out of the Extended Gateway concept in Flanders”, Launch of the Logistics Platform West-Poort, organized by the Province of West-Flanders, 22 September 2008, Bruges. “Mobility and Logistics” workshop, organized by the Cabinet of the Minister-President of the Flemish Government (VIA – Vlaanderen In Actie), 3 July 2008, Antwerp. “Port, transport and logistics”, organized by KMO-insider, 19 June 2007, Antwerp. “Extended Gateway”, Economic Forum of East-Flanders, 17 June 2008, Ghent. “Extended Gateway”, Economic Forum Province of Antwerp, 28 May 2008, Antwerp. “The importance of the crane ship in the Extended Gateway concept”, Press conference on the crane ship for inland waterways, 27 May 2008, Lanaken. “The importance of information flows for Flanders as a logistics top region”, 12th Maritime Symposium on E-maritime, organized by the Maritime Institute, 21 May 2008, Ghent. “Flanders topregion for Logistics”, Seminar on Road transportation, organized by Intervest Offices, 10 April 2008, Herentals. “Innovation in Logistics” workshop, organized by the Cabinet of the Minister-President of the Flemish Government, 10 April 2008, Antwerp. “Extended Gateway”, Workshop on the Extended Gateway strategy of the Province of Antwerp, 12 March 2008, Antwerp. “Extended Gateway”, Seminar on Logistics in Wallonia, organized by Logistics in Wallonia, 13 February 2008, Beez. “Logistics in Flanders”, ACV Seminar on Logistics, organized by the Belgian Christian Trade Union (ACV), 31 January 2008, Antwerp. “Cost of benefits of Secured Supply Chains”, Conference on Streamlining the Supply Chain, 29 October 2007, Brussels. “Logistics Platform Limburg, spin-off of the Extended Gateway”, Start-up of the Logistics Platform Limburg, organized by the Province of Limburg, 18 October 2007, C-Mine, Winterslag. “RFID in Flanders Logistics”, Conference RFID 2007 – The internet of things, organized by Fairtec, 7 June 2007, Antwerp. “The importance of logistics in Flanders”, Bouwstenen voor Logistiek Vlaanderen, organized by Vlaamse Confederatie voor de bouw, 19 April 2007, Laakdal. “The Extended Gateway Belgium”, Rail meets Road IV, organized by VBO-FEB and B-Holding, 15 January 2007, Brussels. “The Extended Gateways”, VOKA-VEV-congress, organized by Flemisch Chambers of Commerce, 17 October 2006, Louvain. “The importance of ICT for logistics”, Seminar on ERP for the service industry, organized by KMO-IT and VIL, 17 October 2006, Brussels. “Focus areas for logistics in Flanders”, Prologistics Trade fair for the total supply chain, organized by Easyfairs, 26 September 2006, Brussels. “The importance of Limburg for logistics in Flanders”, Multimodal Seminar, 31 May 2006, Winterslag. “The importance of logistics for Flanders”, Supply Chain Solutions Event, organized by Business Logistics, 11 May 2006, Brussels. “The Strategy of SCOR”, Seminar on Supply Chain Measurement organized by PICS-VIB, 9 May 2006, Antwerp. “From RFID to Intelligent Supply Chains” Seminar on The Visibility imperative. Beyond the hype of RFID, organized by Unisys, 7 December 2005, Brussels. “Horizontal collaboration”, BIVEC-GIBET Transport Research Day 2005, University of Hasselt, 30 November 2005, Hasselt. “The unique value proposition of Flanders”, Seminar on Logistics for economic expansion, organized by the Belgian Transport Union, 24 November 2005, Brussels. “Flanders Logistics”, Fair on Transport and Logistics, organized by Easyfairs, 18 October 2005, Antwerp. “ICT technology and logistics”, RFID Colloqium, organized by Zetes Group, 6 October 2006, Antwerp. “The importance of Logistics for our region”, Seminar on How to improve the position of our region in European Logistics, organized by the Meuse-Rhine Triangle, 5 October 2005, Liege. “Limburg Logistics, facts and figures”, Multimodal Seminar, organized by LogForLim, 14 September 2005, Genk. “Transport and Logistics in Flanders”, Conference on Transportation, organized by the Flemisch Administration, 26 May 2005, Brussels. “Postponement: a unique selling proposition”, Seminar on the future of production and logistics in Belgium, organized by CxO Magazine, 19 April 2005, Brussels. “CRM at VIL”, CRM-seminar organized by Roularta Seminars, 18 April 2005, Zellik. “Postponement: a unique selling proposition”, Rail meets Road II, organized by the VBO-FEBIAC-NMBS, 14 January 2005, Brussels. “Form RFID to Intelligent Supply Chains”, Seminar on Vehicle Tracking & Professional Telematics, organized by the Telematics Cluster, 14 January 2005. “Telematics, an asset for logistics”, Flemish Symposium on Telematics, 16 June 2004, Brussels. “An introduction to the VIL-portal”, Workshop on Collaborative Portals, organized by Real Software and Microsoft, 8 June 2004. “The logistics future of our regions”, Seminar on the positioning of the Liege region in Europe and its logistics future, organized by Liege for Logistics, 13 May 2004, Liege. “Benchmarking logistics in Flanders”, Seminar organized by the Vlaams Instituut voor de Logistiek, 27 April 2004, Mechelen. “The Flemish Ports and their hinterlands: a logistics approach”, Port conference, organized by the Raadgevende Interparlementaire Beneluxraad, 23-24 April 2004, Liege. “Fiscal rulings: an asset for logistics in Flanders”, Fiscal-logistics seminar organized by the Vlaams Instituut voor de Logistiek, 22 April 2004, Antwerp. “Trends in Telematics for Logistics”, Conference on Telematics, organized by Locus en Telematics Cluster, 18 March 2004, Brussels. “Belgium, no.1 in the ranking of the European Distribution Report”, organized by Cushman, Wakefield, Healey & Baker, Brussel, 24 February 2004. “The future of Logistics in Limburg”, organized by the Limburg Highschool for Economics, Hasselt, 19 February 2004. “Trends in Logistics-the opportunities for RFtags”, Workshops on RFID tagging, organized by Leuven Inc. and KMO-IT Centrum, GOM Limburg and Steunpunt Innovatie Vlaams-Brabant, Leuven, 2 December 2003. “Logistics Trends in Flanders”, Seminar Inside-Out, organized by BT Handling Equipment, Brussel, 16 October 2003. “The role of RFID in logistics”, VIB-seminar “The importance of RFID for logistics”, Brasschaat-Antwerpen, 2 October 2003. “Logistics Trends in Flanders and the VIL”, Transport & Logistics 2003, organized by Thorex, Antwerpen, 23-25 September 2003. “The Flanders Institute for Logistics and Telematics”, E-logistics Seminar, organized by the Telematics Cluster, 9 September 2003. “Logistics Trends in Flanders”, Diplomatic Strategy Days of Flanders, organized by Export Vlaanderen, Brussel, 1 September 2003. “Logistics Trends in Flanders”, PICS Manufacturing & Logistics Software and Services, Kortrijk, 19-20 March 2003. “Competition falsification in road transport – The perspective of the Logistics Service Provider”, ITMMA-seminar on Competition in road transport, 26 February 2003, UA-UFSIA, Antwerpen. “Logistics Service Providers – 2003 Trends in Flanders”, VIB-seminar, 18 February 2003, Brasschaat-Antwerpen. “Trends in Logistiek Vlaanderen”, First Belgian Consumer Goods Conference, organized by the Vlerick Leuven Gent Management School, Brussels, 18 October 2002. “Trends in Logistiek Vlaanderen”, Supply Chain Solutions Event, organized by Business Logistics, 15-16 October 2002, Heizel, Brussels. “Concepten voor het beheersen van logistieke kosten ”, Seminar organized by Business Logistics, Antwerp, 4 April 2001. “Trends in Supply Chain Management voor het volgende millenium”, Supply Chain Solutions Event, organized by Business Logistics, 4-5 May 2000, Heizel, Brussels. “Recent developments in vehicle planning”, Workshop organized by IPO-UFSIA School of Management and Business Logistics Seminars, Brasschaat, 26 November 1999. “Auto-identification & Supply Chain Management”, Seminar organized by KVIV and BIRA, Antwerp, 19 0ctober 1999. “Interfacing Warehouse Management Systems and Vehicle Planning Systems”, Seminar Warehouse Management Systems organized by Business Logistics, Antwerp, 30 September 1999. “Interfacing Warehouse Management Systems and Vehicle Planning Systems”, 2-day seminar Warehouse Management Systems organized by Business Logistics, Antwerp, 22-23 October 1998. “Global optimisation heuristics and commercial spin-off: een toepassing in de distributielogistiek”, Globale Optimalisatie en neurale netwerken: Optimalisatie van technische en management systemen gesteund op fysische en biologische principes, organized by Technologisch Instituut – KVIV and Sogesci-BVWB, 10 November 1993, Antwerp. “Vehicle routing heuristics”, Seminar Vehicle Routing:Now and in the future, organized by the University of Ghent and Tele-Atlas, 30 March 1993, Holiday Inn, Flanders Expo, Ghent. “Simulated annealing for tour improvement in vehicle routing”, Recent streams in discrete event simulation, organized by the NFWO contactgroup Quantitative methods and Simulation, 7 January 1993, University of Antwerp-RUCA. “The single server queue with a switched Poisson arrival process”. Troisième cycle interuniversitaire F.N.R.S. 1990-1991: Operational Research and decision support systems; Seminar on the application of stochastic processes, 23 November 1990, University of Brussels. “Simulation of a queueing system for loading and unloading trucks in a brewery”, Seminar Applications of digital simulation, 13 April 1989, Antwerp, organized by the Dutch Benelux Simulation Society. “Are pipes an alternative for the transport of parcels and pallets?” organized by the Future Proof Transport Initiatives and POM Limburg, 7 February 2019, Genk. “The Future of Mobility” at the debate organized by Etion and VRT, 18 May 2017, Brussels. “Where profit meets Planet” at the Antwerp Management School on “Sustainable Development Goals”, 20 April 2017, Antwerp. “Logistics Trends 2020”, organized by WDP at the Transport & Logistics fair of Antwerp, 15-17 October 2013, Antwerp. “Economic importance of Belgian Transport Logistics”, Presentation of the study, 4 June 2008, Antwerp. CEO-panel of the ITS Belgium Telematics Congress, organized by the Telematics Cluster, 24 April 2008, Brussels. “Innovation in Logistics”, organized by the Cabinet of the Minister-President of the Flemish Government, 10 April 2008, Antwerp. 60th Anniversary of Van Dievel Transport, 9 April 2008, Mechelen. “Multimodal Transport”, organized by the Fastlog, 30 May 2007, Charleroi. “Kick-off Flanders Logistics”, organized by the Flemish Government, 24 May 2007, Brussels. “Secured Supply Chains”, organized by the Belgian Customs, 15 May 2007, Brussels. “Colloque Seine Nord”, organized by the Belgian Shippers Council, 10 May 2007, Tournai. “Flanders Inland Shipping Network”, organized by the Flemish Government, 23 April 2007, Ham. “Logistics” at the Conference “100 jaar Afdeling Bovenschelde”, organized by Waterwegen en Zeekanaal, 23 March 2007, Gent. “Logistics in Antwerp” with Flemish Ministers, Members of Parliament and Members of the Province, organized by the Province of Antwerp, 9 March 2007, Genk. “Flanders Gateway” with Flemish Ministers and Members of Parliament, organized by the VOKA – Flemish Chambers of Commerce, 2 March 2007, Genk. “The importance of Brussels Airport as logistics hub”, organized by the Social Economic Council of Flanders (SERV), 30 June 2005, Brussel. “The attractiveness of Belgium and the Netherlands for European Distribution”, Supply Chain Solutions Event 2004, organized by Business Logistics, 29-30 September 2004, Brussels. “Innovation in logistics”, Supply Chain Solutions Event 2004, organized by Business Logistics, 29-30 September 2004, Brussels. “The contribution of Geographic Information Systems in mobility problems”, organized by the Flemish Association for Geographic Information Systems (FLAGIS) and Department of Geography, University of Ghent, Ghent, 18 November 2003. “Toll collection in Flanders”, organized by the VEV, Antwerpen, 16 May 2003. “Round table conference on Supply Chain Management”, International Workshop on Production Planning and Control, 2 October 2000, FUCam, Mons. “Port, transport and logistics”, organized by KMO-insider, Yearly panel since 2005, Antwerp. “Transport sharing”, lecture for VOKA – Lerend Netwerk Supply Chain Management, 17 September 2018, Oevel. “The Multi Supplier Multi Retailer Platform”, Lecture for the Markenverband Deutschland (German Brand Association), 8 May 2018, Berlin. “Le rôle changeant des ports dans la chaîne logistique”, Lecture for the Port Authority of Montréal, 18 April 2018, Montréal. “Warehousing and transport sharing”, lecture for VOKA – Lerend Netwerk Supply Chain Management, 1 March 2018, Grobbendonk. “Disruption in Logistics”, Customer event, organized by Trends Top Industry, 23 January 2018, Antwerp. “The future of logistics”, lecture for VOKA – Lerend Netwerk Supply Chain Management, 19 October 2017, Oevel. “Eventually logistics will disrupt or will be disrupted”, Lecture for the B19 Business Club, Edegem, 23 January 2017. “The physical internet as the model for future transport”, Lecture for FEBIAC at the Brussels Motor Salon, Brussels, 16 January 2017. “Eventually logistics will disrupt or will be disrupted”, Lecture for the Union of Belgian Companies (VBO-FEB), Brussels, 28 October 2016. “European Logistics”, in-house course for Katoennatie, 26 October and 16 November 2016, Antwerp. “Supply Chain Management in port environment”, lecture in the module Port Logistics, organized by Antwerp Port Education Centre (APEC) for the Philippines Port Authority, 17-21 October 2016, Manila, Philippines. “Eventually logistics will disrupt or will be disrupted”, Lecture for the European Shippers’ Council, Diamant Building, Brussels, 13 September 2016. “Eventually logistics will disrupt or will be disrupted”, Lecture for the Chemistry Collaboration Platform, organized by Ahlers, Antwerp, 16 June 2016. “Eventually logistics will disrupt or will be disrupted”, Lecture for the Internal Leadership Training program of Ahlers, Antwerp, 31 May 2016. “Eventually logistics will disrupt or will be disrupted”, Lecture for Connecting Circles, 17 January 2016, Antwerp. “The 20 challenges that will impact society and supply chains in the coming 20 years”, Official opening of the Conference Transport & Logistics 2015, 22-25 September 2015, Antwerp. “The 20 challenges with impact on your supply chain”, Lecture for VOKA – Lerend Netwerk Supply Chain Management, 4 June 2015, Olen. “Supply Chain Management”, Lecture in the module Port Logistics, organized by Antwerp Port Education Centre (APEC), 13-15 April 2015, Durban, South Africa. “The 20 challenges with impact on your supply chain”, Lecture for VOKA – Lerend Netwerk Supply Chain Management, 26 January 2015, Duffel. “E-commerce and its danger for Logistics”, Lecture for the customer event of Ponet & De Vleeschauwer Attorneys, 19 December 2014, Antwerp. “E-commerce and its danger for Logistics”, Lecture for the customer event of Bolero (KBC bank), 13 September 2014, Antwerp. “Supply Chain Management and Port Logistics”, Lecture for the module Port Logistics, organized by Antwerp Port Education Centre (APEC), 8-12 September 2014, Fortaleza, Brazil. “Supply Chain Management”, Lecture for the module Port Logistics, organized by Antwerp Port Education Centre (APEC), 17-19 March 2014, Durban, South Africa. “Opportunities and threats of e-commerce for the logistics sector”, Lecture for customer event of BDM, 20 March 2014, Antwerp. “Opportunities and threats of e-commerce for the logistics sector”, Lecture for customer event of Hugo Ceusters Immo, 12 February 2014, Antwerp. “The logistics sector in Belgium”, Lecture for the Ekonomika Alumni, 10 October 2013, Meise. “Horizontal collaboration”, Lecture for the PICS program on Distribution Logistics, 5 March 2013, Antwerpen. “European Logistics”, Lecture for the in-house training at Euroports, 10 December 2012, Antwerpen. “The Rhine-Scheldt Delta – top region for logistics”, Lecture for the Investor’s Relation Day of Warehouses De Pauw, 22 August 2012, Amsterdam, The Netherlands. “Horizontal collaboration”, Lecture for the PICS program on Supply Chain Strategy, 9 May 2012, Mechelen. “Horizontal collaboration”, Lecture for the PICS program on Distribution Logistics, 28 February 2012, Mechelen. “Carpooling for Cargo”, Lecture for the Walloon Union of Enterprises (UWE), 14 February 2012, Wavre. “Optimizing flows via collaboration”, Lecture for the CEEMEA Supplier Summit of Procter & Gamble, 8 February 2012, Divonne-les-Bains. “Carpooling for Cargo”, Lecture for the customer event of Gosselin Worldwide Transport, 17 January 2012, Antwerp. “Carpooling for Cargo”, Lecture for the European Journalism Centre, 15 December 2011, Brussels. “43%”, Lecture for the Microsoft ISV event, 6 December 2011, Ophain. “Synchromodality and Orchestration”, Lecture for the Barge Bar, organized by the Port of Antwerp, 4 October 2011. “Horizontal Collaboration” ”, Lecture in the module Distribution Management of the PICS-program, organized by PICS-VIB, Antwerp, 2010. “Collaboration in Logistics”, Lecture for DHL Supply Chain event, 15 November 2010, Antwerp. “How vehicle routing can impact one’s life”, Lecture for the public doctoral defence of Patrick Schittekat, University of Antwerp, 5 November 2010, Antwerp. “European Logistics”, Lecture for the Trade Union CNE in Wallonia, 4 February 2011, Nivelles. “European Logistics”, Lecture for the Plantijn Hogeschool Boom, 28 January 2011. “European Logistics”, Lecture for the European Supply Chain Forum of Geodis-Wilson, 8 September 2010, Paris. “European Logistics”, Lecture for the students Logistics at the Provinciale Hogeschool Limburg, 29 January 2010, Hasselt. “Logistics in 2020”, Lecture for VKW Limburg, 14 December 2009, Hasselt. “Orchestration in Logistics”, Lecture for the European Supply Chain Forum of Mars, 10 December 2009, Antwerp. “Logistics and Supply Chain Management”, Lecture for the staff of the Flemish Administration, Department Infrastructure and Environment, 17 November 2009, Brussels. “Sustainable Logistics”, Lecture for the customer event of DPD, 21 October 2009, Antwerp. “Bundling and orchestration”, Lecture for the European Logistics Seminar of Barry Callebaut, 10 June 2009, Zundert (The Netherlands). “TRI-VIZOR, The making of”, Lecture for the Antwerp Maritime Circle, 22 April 2009, Antwerp. “Flanders in the Champion league for logistics”, Lecture on the Rotary event of Eastern Antwerp, 27 May 2009, Schilde. “Opportunities for clustering and bundling in the Antwerp South region”, Lecture for the Customer event of ODTH, 6 April 2009, Antwerp. “Belgium, logistics top region”, Lecture for customer event of M.A.N., 20 January 2009, Brussels. “Major international trends in logistics”, Lecture for customer event of M.A.N., 18 January 2009, Brussels. “Logistics is more than trucks and warehouses”, Lecture for Actueel Denken en Leven, 18 January 2009, Antwerp. “Belgium, logistics top region”, Lecture for customer event of M.A.N., 17 January 2009, Brussels. “The Extended Gateway concept”, Lecture for the Flemish Council for Mobility (MORA), 4 July 2008, Brussels. “Future trends in logistics outsourcing”, Lecture for the customer event of Norbert Dentressangle, 16 June 2008, Kobbegem. “Future trends in logistics”, Lecture for the customer event of AIG Europe, 12 June 2008, Keerbergen. “The logistics perspectives for the Province of Limburg”, Lecture for the Annual Meeting of the Belgian Road Transport Organisation (Febetra), 9 April 2008, Hasselt. “Extended Gateway Flanders”, Lecture for the Commission of the Flemish Parliament on Infrastructure, 9 April 2008, Brussels. “Horizontal collaboration in logistics”, Lecture for VZW De Prijkels, 21 March 2008, Deinze. “Flanders, a logistics top region”, Lecture for the Group Bernaerts Business Club, 6 March 2008, Antwerp. “Flanders a unique value proposition”, Lecture for Verelst Business Club, 21 February 2008, Brussels. “Flanders a unique value proposition”, Lecture for the Braboclub Haventechnici, 22 January 2008, Antwerp. “Extended Gateway”, Lecture at the new year event of the Physical Distrbution Group, 17 January 2008, Ophemert (The Netherlands). “European Logistics”, Lecture for the module on Mobility and Intermodality for Belgian civil servants, 26 October 2007, Brussels. “Flanders a unique value proposition”, Lecture for the inauguration of the Agfa-SKF partnership, 12 September 2007, Tongeren. “Belgium, a unique value proposition for Logistics”, Lecture for the OTM-Award celebration of TNT, 29 June 2007, Antwerp. “Logistics Trends in Belgium”, Lecture at the B-Cargo Sales Days, organized by the Belgian Cargo Railway Operator, 31 May and 4 June 2007, Brussels. “Flanders, a unique value proposition for Logistics”, Lecture for the customer event of Motrac, 23 May 2007, Antwerp. “Limburg Gateway for Logistics”, Lecture for the Limburg province delegates, 14 May 2007, Hasselt. “Extended Gateway”, Lecture for the Board of Administrators of the Port of Liege, 18 April 2007, Liege. “Flanders, a unique value proposition for Logistics”, Lecture for the annual event of the Belgian Shippers Council, 10 March 2007, Antwerp. “Extended Gateway Flanders”, Lecture for the Flemish Administration for Economic Affairs, 14 February 2007, Brussels. “Logistics Trends in Flanders”, Lecture at a customer event, organized by Antwerp Law, 2 February 2007 Antwerp. “Logistics Trends in Flanders”, Lecture for the Belgian Members of EU-Parliament, 26 January 2007, Laakdal. “Logistics Trends in Flanders”, Lecture at an event, organized by Kobra (Association of Small and Medium Enterprises in the Antwerp Neigbourhood), 21 November 2006, Boechout. “Logistics Trends in Flanders”, Lecture at the Porthus customer event, organized by Porthus, 15 November 2006 Antwerp. “The unique value proposition for logistics in Flanders”, Lecture for the 20th Anniversary of Davidsfonds, Kontich, 21 October 2006. “Logistics Trends in Flanders”, Lecture for the Nike-leadership team, 13 October 2006, Herentals. “Logistics in facts and figures”, Lecture at the Ministry of Employment, 24 May 2006, Brussels. “Logistics Trends in Flanders”, Lecture for the ACV Trade Union, 16 May 2006, Ostend. “Logistics Flanders in facts and figures”, Lecture at the Flemish Parliament for the Naiades Project for inland shipping, 28 March 2006, Brussels. “The unique value proposition for logistics in Flanders”, Lecture for the Rotary Service Club, 22 March 2006, Antwerp. “The modernisation of the port labour”, Lecture for the PSA-leadership team, 9 March 2006, Antwerp. “The unique value proposition for logistics in Flanders”, Lecture for the Qindao delegation at the Flemisch Ministry of Economic Affairs, 15 February 2006, Antwerp. “The unique value proposition for logistics in Flanders”, Lecture for the A12 Business Club, 22 December 2005, Antwerp. “Logistics in facts and figures”, Lecture for the Belgian Central Board for Industry (CRB), 19 December 2005, Brussels. “Logistics Trends in Flanders”, Lecture for the Solvay Supply Chain leadership team, 15 November 2005, Brussels. “The unique value proposition for logistics in Flanders”, Lecture for the Lyons Service Club, 22 March 2005, Antwerp. “The unique value proposition for logistics in Flanders”, Lecture for the European Partners Meeting of DCE Consultants, 17 March 2005, Brussels. “The unique value proposition for logistics in Flanders”, Lecture for the Antwerp Breakfast Club, 24 February 2005, Antwerp. “Logistics Trends in Flanders”, lectures for UAMS training for TNT, 8,10 and 17 November 2004, Elewijt. “The logistics future for our regions”, Lecture for the European Board of Managers of Geodis-Vitesse, 15 May 2004, Rotterdam. “Some recent trends in European Logistics”, Lecture for the Swedisch Management School, 20 April 2004, Brussels. “Logistics Trends in Flanders”, Lecture for the Alumni of the Faculty of Applied Economic Sciences of RUCA, 28 November 2003. “Logistics Trends in Flanders”, Lecture for Antwerp Agency Friends, 2 October 2003. “Forecasting” and “Logistics Trends in Flanders”, Lectures for the International Master in Strategic Purchasing and Supply Chain Management (Executive and Post-experience level), organized by the Belgian Purchasing and Business Logistics Association, the Dutch Association of Purchasing Management and the International Federation of Purchasing and Materials Management, Priorij Corsendonck, 17 October 2003. “Logistics Trends in Flanders”, Lecture for the Maritime Circle of Antwerp, 21 May 2003. “Vehicle Routing and Supply Chain Management”, Lecture for the Master program Management of Transport and Logistics, TIAS Business School, Tilburg, The Netherlands, 28 March 2002. “Forecasting” and “The Real-time Company”, Lectures for the China-Europe Management Centre to a group of Chinese Managers, 6 and 10 December 2001. “Vehicle Routing and Manpower Planning”, Lecture for the MBA Program of the IESEG (Institut d’Economie Scientifique Et de Gestion) School of Management, Lille (France), 26 October 2001. “Forecasting” and “The Real-time Company”, Lectures for the International Master in Strategic Purchasing and Supply Chain Management (Executive and Post-experience level), organized by the Belgian Purchasing and Business Logistics Association, the Dutch Association of Purchasing Management and the International Federation of Purchasing and Materials Management, Priorij Corsendonck, 20 October 2001. “Spin-off value of global optimisation heuristics”, Lecture for the Centre for Quality Management, Antwerp, 12 April 1996. “Vehicle Routing”, Lecture for the FORUM-series of the Royal Flemish Association for Engineers, 8 May 1995. “The use of Genetic Algorithms as improvement methods for the Vehicle Routing Problem with side-constraints”, Lecture organized by Visielab, University of Antwerp – RUCA, 28 November 1994. “A survey of solution methods for the vehicle routing and scheduling problem”, Lecture at the Asian Institute of Technology, 28 July 1992, Bangkok. “Supply Chain Management”, recurrent lecture for the APEC-Antwerp Port Education Centre, since 2015. “Manpower planning”, recurrent lecture for the APEC-Antwerp Port Education Centre, since 2000. “Organisations des flux”, recurrent lecture in the module Port Logistics and Management, organized by Antwerp Port Education Centre (APEC), Antwerp (2011, 2012). “European Logistics”, recurrent lecture for the Executive class on Operations and supply chain excellence, Antwerp Management School (2011, 2012). “European Logistics”, recurrent lecture in the Master is Supply Chain Management of the Gent Leuven Vlerick School of Management (2005, 2006, 2007, 2008, 2009, 2010). “Logistics Trends in Flanders”, recurrent lecture in the module Distribution Management of the PICS-program, organized by PICS-VIB, Antwerp (2005, 2006, 2007, 2008,2009, 2011, 2012). “Logistics Trends in Flanders”, recurrent lecture in the Master is Supply Chain Management of the Gent Leuven Vlerick School of Management (2003, 2004). “Logistics Trends in Flanders”, recurrent lecture in the Cycle Transport Management for Enterprises, University of Antwerp School of Management (2002, 2003). “Flanders a unique value proposition”, recurrent lecture in the module Port Logistics, organized by Antwerp Port Education Centre (APEC), Antwerp (2005, 2006, 2007, 2008, 2009, 2010, 2011, 2012,2013,2014). “Reverse Logistics”, recurrent lectures in the Master is Supply Chain Management of the Gent Leuven Vlerick School of Management (2003, 2004). “Forecasting”, recurrent lecture in the module Distribution Management of the PICS-program Certified in Production and Inventory Management (CPIM), organized by the American Production and Inventory Control Society (1999, 2000, 2001, 2002). “Manpower Planning”, recurrent lecture in the Cycle Transport Management for Enterprises, University of Antwerp School of Management (2002, 2003). “Software for Logistic: Routing”, recurrent lecture for the training-course of Assistant Logistics Manager, OBMB (1994, 1995, 1996, 1997, 1998, 1999, 2000). “Vehicle Routing and Transport Management”, recurrent lecture in the module Distribution Management of the PICS-program Certified in Production and Inventory Management (CPIM), organized by the American Production and Inventory Control Society (1994, 1995, 1996, 1997, 1998, 1999, 2000). “Vehicle Routing”, recurrent lecture in the Master of Supply/Demand Planning of the University of Antwerp School of Management (1999, 2000, 2001). “Cost-based lot-sizing”, recurrent lecture in the Master of Supply/Demand Planning of the University of Antwerp School of Management (1999, 2000).